Lawmakers debated a proposal April 6 to provide a minimum amount of state aid to each public school district. A pending amendment would replace the bill and raise the state sales tax rate in order to fund additional school aid and property tax credits. 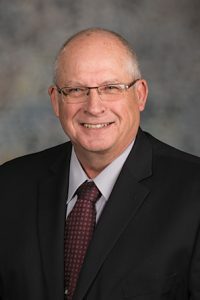 Sen. Curt Friesen of Henderson, sponsor of LB1103, said the bill would ensure that each school district would receive no less than 25 percent of its basic funding needs—as calculated by the state’s school aid formula—in the form of state aid. 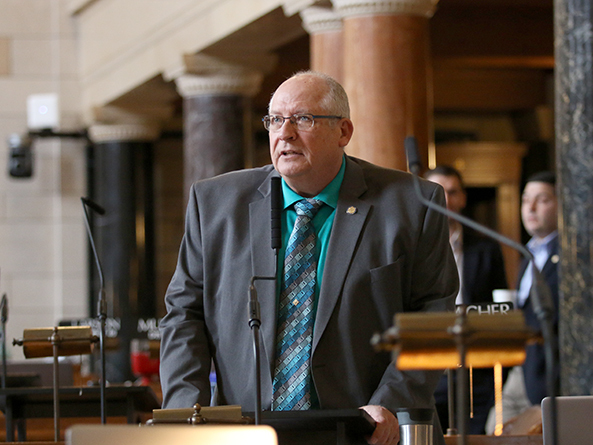 Friesen said his bill is an attempt to address the state’s overreliance on property taxes to fund public education and the dramatic shift in that tax burden to agricultural landowners over the past decade. As a result of that shift, he said, about 70 percent of the state’s 244 school districts receive no equalization aid, which is state aid intended to cover the needs of school districts that cannot be met by other resources, such as property taxes. Friesen filed a motion to substitute an amendment he had introduced with another amendment by Sen. Tom Briese of Albion. The amendment would replace Friesen’s original bill with provisions of LB1084 and would raise the state sales tax rate from 5.5 percent to 6.5 percent, raise taxes on a pack of cigarettes from 64 cents to $2.14 and impose a surtax on those earning at least $500,000. The amendment would direct the additional tax proceeds to the state’s property tax credit fund and to school aid. It would limit the amount that school districts could request in property taxes each year, and it would require the state Department of Education to oversee an in-depth review of the financing of public elementary and secondary schools. Briese said the amendment would deliver “immediate and substantial” property tax relief, but he acknowledged that some senators would oppose raising other taxes to pay for it. Sen. Tyson Larson of O’Neill opposed the bill and filed a motion to indefinitely postpone it, which would end consideration of it for this session. The motion failed on a 6-25 vote. Sen. Jim Smith of Papillion also opposed the bill and said it would increase taxes by approximately $487 million. He said the amendment attempts to provide property tax relief by increasing sales and cigarette taxes, which would affect mostly low-income Nebraskans. Sen. Lydia Brasch of Bancroft also opposed Briese’s amendment and filed a motion to bracket the bill. Brasch said she supports reducing property taxes, but the amendment would not control school spending or fix flaws in the state’s school funding formula that created the problem Friesen and Briese are trying to correct. Brasch said she favored LB947, sponsored by Smith, which would provide refundable income tax credits for homeowners and agricultural or horticultural landowners that would increase gradually over the next decade. The Legislature moved to the next item on the agenda before voting on the bracket motion, Briese’s amendment or the bill. Per a practice implemented last year by Speaker Jim Scheer, the sponsor of a bill that is facing a potential filibuster must demonstrate sufficient support for a cloture motion before the measure will be scheduled for additional debate. After debate on LB1103 had concluded, Scheer told lawmakers that he is willing to meet with five senators who introduced major tax bills this session—Briese, Friesen, Smith, Bayard Sen. Steve Erdman and North Platte Sen. Mike Groene—in an effort to broker a compromise so that a tax relief proposal could be passed this year. He said none of the bills currently has the 33 votes needed to secure a cloture motion.